Living together is a big step in a relationship. 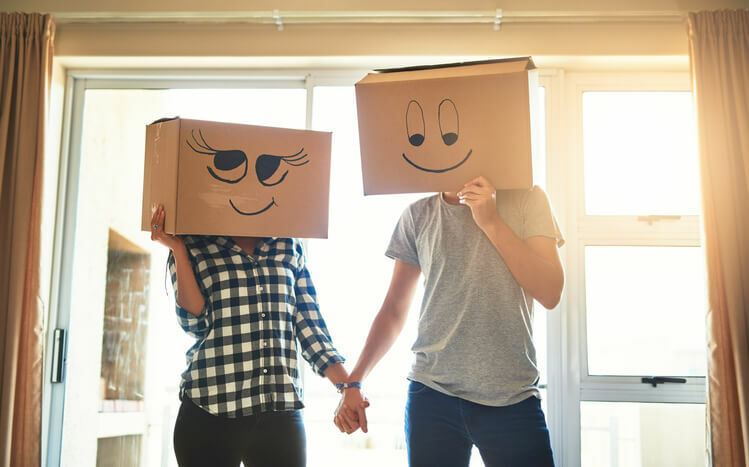 But before finding new housing and calling for movers Gainesville, Florida, couples should consider all of the factors that go into a shared-living arrangement. From financial realities to the potentially different expectations the two people have with regard to issues such as household cleanliness, there are many factors involved that make the decision to move-in together complex. Yet, if after careful consideration, moving-in together makes sense, the last step before entering this new realm of your relationship is to plan for the circumstances you and your partner will face while living under the same roof. There are several expenses associated with two people living together. For example, before hiring movers Gainesville couples must decide whether they will merge housing, where one person moves into the other’s home, or find new housing altogether. The next decision, after housing, is how a couple should divide their living-costs, including the cost of rent or mortgage payments along with other household expenses, from weekly food costs to monthly cable subscriptions. Fundamental to sharing the living-costs as a couple is to define the parameters of what’s fair. For example, should expenses be divided in-half, or should the person with the higher income pay a larger percentage? Or should items and services be purchased individually, such as one person pays for movers in Gainesville, FL, while the other person pays for a storage unit for the items left over after the couple combined their possessions? But whatever the decision on what’s fair, most important is that both people agree on the financial arrangement and things remain consistent. In Gainesville moving into a home with a significant other can be a rewarding decision, but that doesn’t mean living together isn’t an arrangement devoid of risks. People hope for the best outcome in any relationship, but there is also the potential that, down the road, a couple will break up. Generally, the more financially intertwined two people’s lives are, the more difficult it is for one person to extricate him- or herself from the other person. So until the long-term prospects of a relationship are established, it’s wise for a couple to avoid sharing both the costs of large assets, such as a vehicle, and bank accounts. When hiring a moving company Gainesville, FL, residents who are in relationships might disagree about such details as the time of day the moving truck should arrive or how many boxes are needed to pack up a home. In other words, while living together, couples may experience plenty of benign variances of opinion over minutiae, such as the correct brand of paper towel or milk to buy. What must be reconciled, though, are dueling expectations for major issues, such as the cleanliness of a home. So in instances where a couple is at odds over something fundamental, such as two people having vastly different preferences for organization, there should first be a candid discussion followed by a compromise agreed to by each person. In Florida movers divide up moving-related tasks evenly in order to pack and relocate the contents of homes efficiently. Similarly, couples should evenly divide the responsibilities for their household chores. Again, what qualifies as an even division-of-labor is open-ended, as couples may choose to have permanently assigned chores, alternate chores weekly, or work together on each chore. Most important, though, is that both people feel the arrangement is equitable. UF Mover Guys is among the Gainesville’s trusted moving companies. Our customers include couples and newlyweds, as well as individuals, students, and families. Contact us to schedule moving services.